A new study by Chinese researchers suggests that there is a “shared-direction effect” in marital satisfaction. In their upcoming paper in the Journal of Experimental Social Psychology, the researchers explain their finding that couples who commute in the same direction seem to be happier together than couples who do not. The effect was even found in couples who don’t travel on the same train. The research suggests that going in the same direction is a commonality that may, in turn, increase the attraction partners feel for one another. 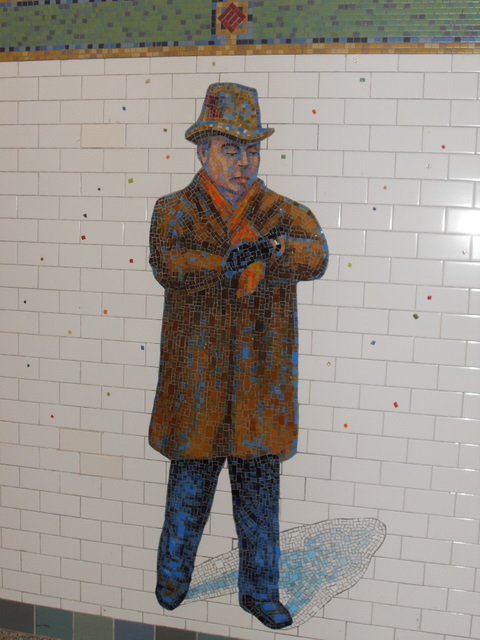 New York City transit riders can now use the Arts for Transit app to learn about each of the 236 permanent artworks in the New York City transit system. The new app is searchable by transit line and artist, and offers turn-by-turn directions to help users locate the piece in the station. For some of the art, the app provides video and audio podcasts detailing the work. The Bay Citizen reports that the leading candidate to build BART’s $3.4 billion fleet of new trains is responsible for installing defective parts on Chicago’s subway cars. Bombardier Transportation beat out two other companies in the bidding to build BART’s new rail cars. The Chicago Tribune recently reported that Chicago Transit Authority inspectors found that Bombardier installed defective parts made by a Chinese supplier on new rail cars. According to a BART spokesman, the Canadian company must still undergo a rigorous audit before BART staff makes a decision on who should get the contract. The Music Box Steps in Silver Lake have been named one of the “World’s Coolest Staircases” by Travel + Leisure magazine. The steps were made famous by Laurel and Hardy’s Academy Award-winning short “The Music Box.” The 1932 film features the famous duo trying to deliver a piano to a building at the top of the stairs. Nothing about the test train-vehicle collision on Flower on Saturday? No further statement at this time.